The Youth committee shall consist of 4 members from each of the 5 regions in Africa making a total of 20 members and shall be between the ages of 18-30 from different organizations, countries and each of the 5 regions, with a fair representation from both French and English speaking countries within each of the 5 regions. 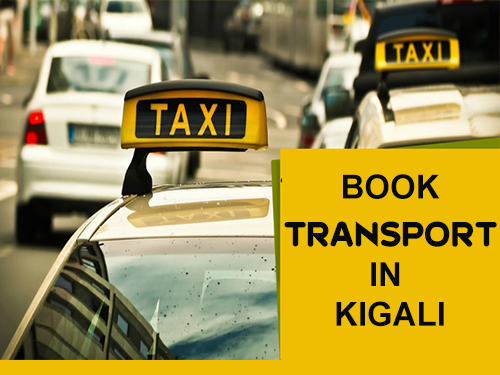 Selected head of each of the 5 regions; Central Africa, East Africa, North Africa, Southern Africa and West Africa will make up the executive committee who will work with their other three members and networks in each of the regions. 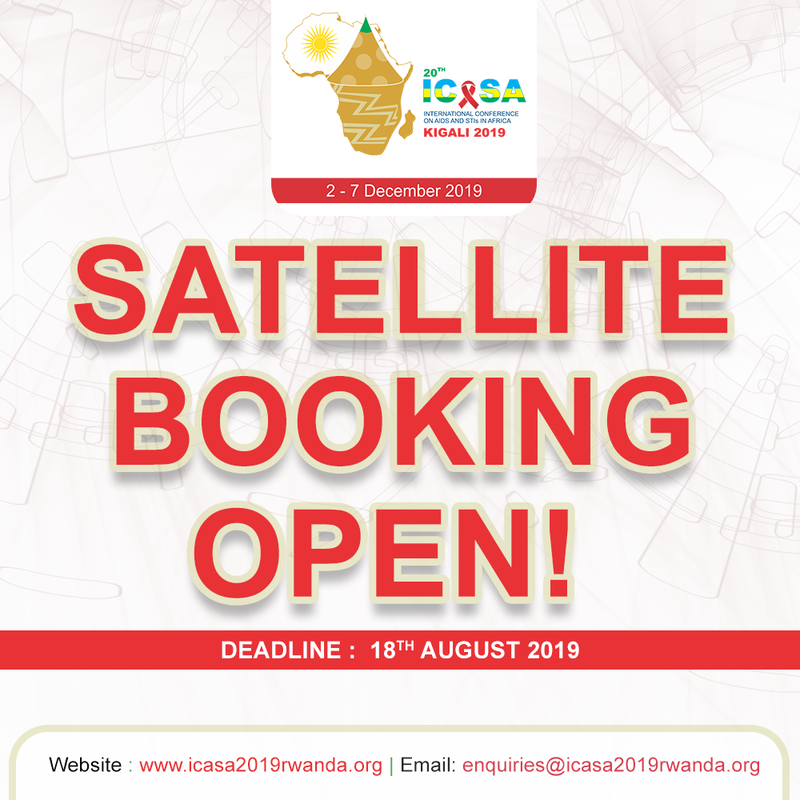 These heads will report and work closer with the ICASA 2019 Secretariat to meet the following objectives. 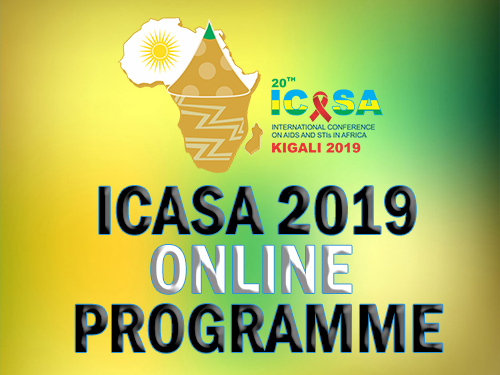 b) To promote meaningful youth engagement and participation in the field of HIV at ICASA 2019 and beyond. 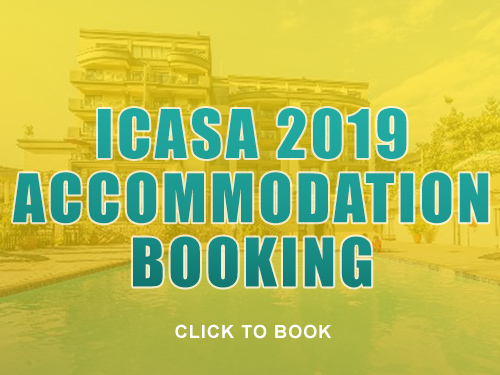 c) To amplify youth voices on HIV, TB, Malaria and emerging infections throughout the ICASA 2019 programme. 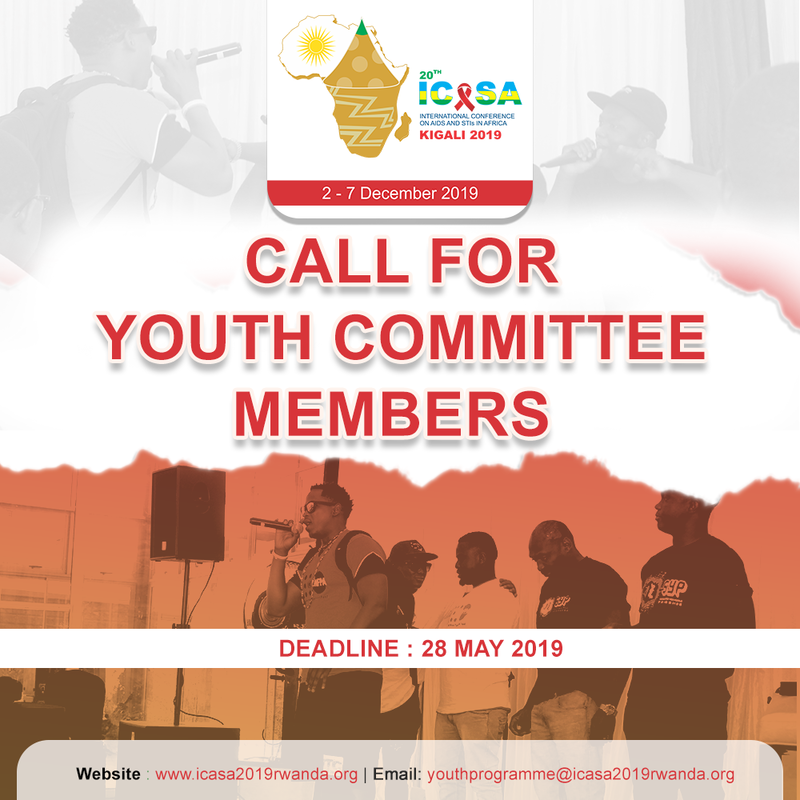 Must be between the ages of 18-30 working with youth-led organisations in the field of HIV and Sexual and Reproductive Health & Rights (SRHR) in Central Africa, East Africa, North Africa, Southern Africa and West Africa. Must be able to demonstrate knowledge and experience on youth engagement in HIV and SRHR advocacy. 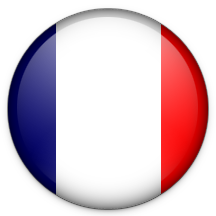 Should be a team player and can communicate in English and/or French or both. Should be available to dedicate at least 10 hours a week on youth committee related work. 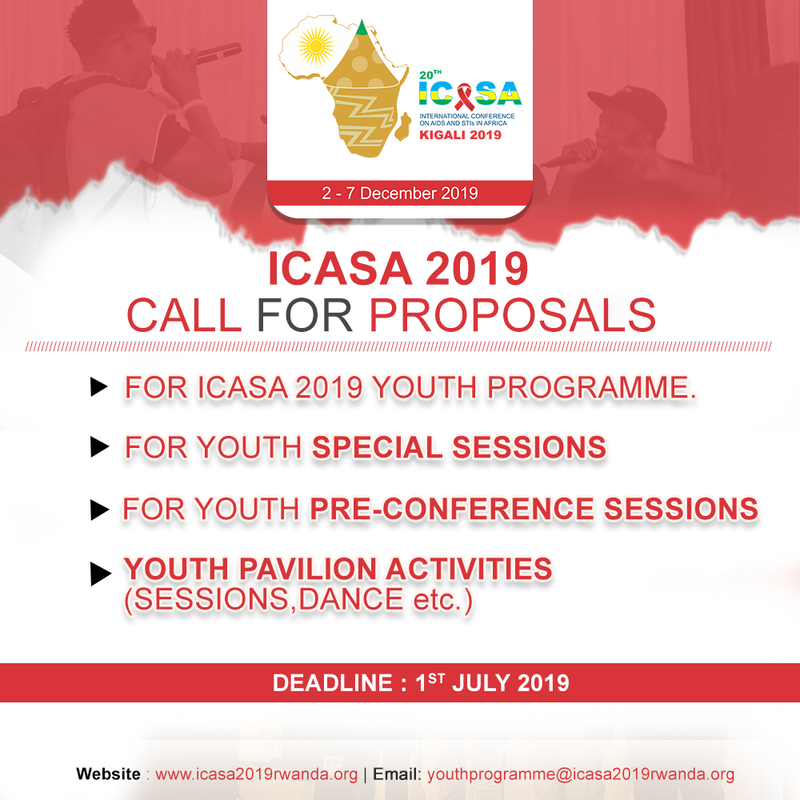 To nominate or apply, send details in a cover letter, CV and recommendation letter from affiliated youth organization or network to youthprogramme@icasa2019rwanda.org with subject line ICASA Youth Programme Committee Nomination. Cover letter and recommendation letter should be addressed to the director of the conference. 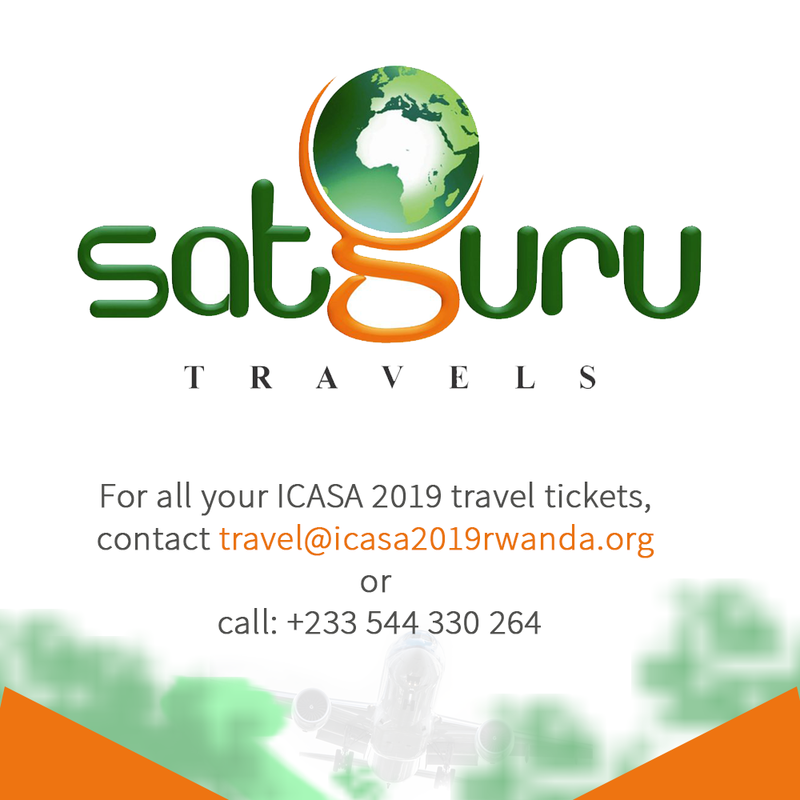 Deadline : 28th May 2019. Engaging all leadership on the youth financing activities towards ending AIDS. 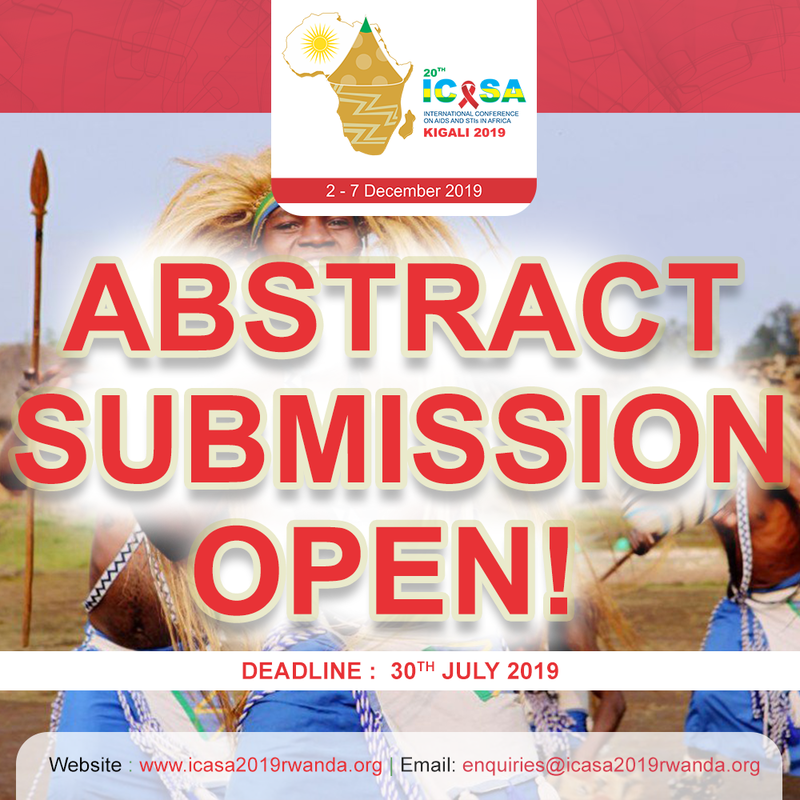 To amplify youth voices in leadership, innovations and technology, social interventions on HIV, SRHR, TB, Malaria and emerging infections at ICASA 2019 and beyond. Reflect the needs of diverse youth, promote HIV prevention, inclusivity of vulnerable populations. Youth Leadership in AIDS free Africa.